A misdemeanor Washington DUI can be elevated to a felony under some circumstances, including a prior conviction for “[v]ehicular assault while under the influence of intoxicating liquor or any drug.” To elevate a charge, the state must prove the existence of the conviction and that it relates to the defendant. Vehicular assault is an alternative means offense, with three alternatives, but not all of the alternatives qualify for the enhancement. A Washington appeals court recently considered whether the state had proved a defendant’s prior conviction for vehicular assault qualified for the enhancement. The defendant was charged with a DUI in 2016. The state alleged the defendant’s prior conviction for vehicular assault while under the influence made the current offense a felony. After finding the defendant had committed DUI, the jury was then asked to determine whether the defendant had a qualifying prior vehicular assault conviction. The state introduced the court records from the previous conviction as well as testimony from a police officer. The jury found the defendant had a prior vehicular assault while under the influence of alcohol conviction. The defendant appealed, arguing the state did not produce sufficient evidence to elevate the offense to a felony. He argued the evidence only established a generic conviction for vehicular assault, rather than showing that he was convicted of vehicular assault while under the influence pursuant to RCW 46.61.522(1)(b). Article I, section 7, of the Washington Constitution provides that “No person shall be disturbed in his private affairs, or his home invaded, without authority of law.” Washington criminal defense attorneys know that the privacy protections of section 7 provide greater coverage than the Fourth Amendment of the U.S. Constitution in some areas. In a recent case, the Washington Supreme Court considered whether section 7 prohibits a requirement of random urinalysis of individuals on probation for a misdemeanor DUI offense. The defendant in this case pleaded guilty to a gross misdemeanor DUI offense. The trial court imposed a partially suspended sentence, with a condition that she not consume alcohol, marijuana, or nonprescribed drugs. The court also ordered that she submit to random urinalysis drug testing to monitor her compliance with that condition. The defendant appealed on the grounds that the random urinalysis condition violated her privacy rights under the Fourth Amendment to the U.S. Constitution as well as article I, section 7 of the Washington Constitution. She argued that a warrantless search of an individual on probation for a misdemeanor “must be supported by a well-founded suspicion” that she violated one of the conditions. The court found in favor of the defendant, vacated the sentence, and remanded. 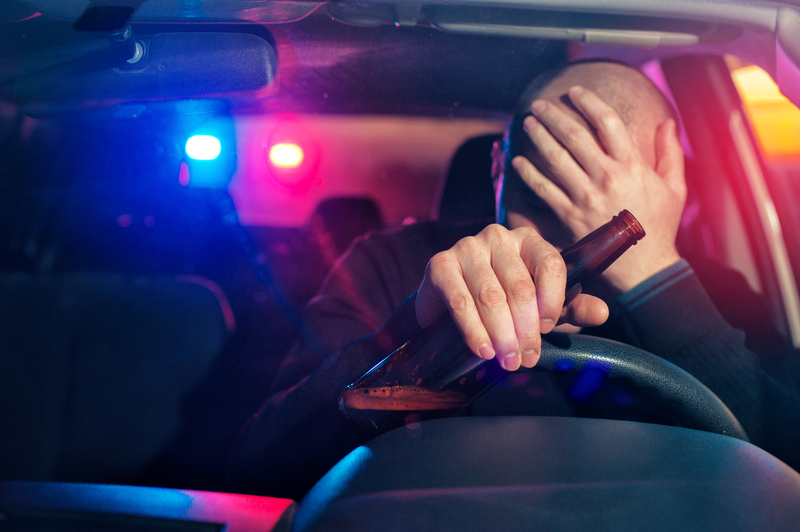 Often, a person charged with driving while under the influence will face additional, related charges. Attempting to elude police is one such charge. Sometimes, a person may feel they are justified in not stopping for the police officer, but a necessity defense is very difficult to prove in this type of case. In a recent unpublished case, a Washington appeals court considered a defendant’s claim of necessity based on her statement that she did not stop because she was fleeing a person who had threatened her. According to the opinion, the defendant ran a red light in front of an officer and failed to stop when he engaged the emergency lights. The defendant stopped in front of a residence and tried to go inside. The officer tackled her to stop her and subsequently arrested her for DUI. Under Washington law, police must advise individuals of the right to independent testing when a breath test is administered pursuant to the implied consent statute. Under a previous version of the statute, this information was also required for blood tests. A Washington appeals court has recently addressed whether police must still inform of the right to independent testing of blood when it is no longer specifically included in the statute. The defendant was convicted of vehicular assault as a result of a two-car collision. The defendant appealed, arguing that blood test evidence should have been excluded because he was not informed he had the right to independent tests at the time the blood was taken. According to the court’s opinion, the defendant caused the accident by crossing the center line. The defendant called 911. The police officer smelled alcohol and noticed signs of impairment at the scene. The defendant went to the hospital by ambulance. The trooper who spoke with the defendant at the hospital also smelled alcohol and observed signs of impairment. The defendant did not respond to the trooper’s requests for a field sobriety test or a portable breath test. Blood was subsequently drawn pursuant to a warrant. The defendant’s blood alcohol content was 0.12 three and a half hours after the collision. The prosecution is generally required to prove some level of intent, or mens rea, to succeed in obtaining a guilty verdict in a criminal case. Some offenses, however, are strict liability offenses, meaning the prosecution does not have to prove intent. A Washington appeals court recently considered whether the vehicular homicide and vehicular assault statutes require the prosecution to prove a mens rea of ordinary negligence in the case of driving under the influence. In a recent case, the defendant appealed convictions for vehicular homicide and vehicular assault, arguing the jury instructions were erroneous because they allowed the jury to find her guilty without a finding of ordinary negligence. According to the opinion, the defendant’s truck spun out on an icy bridge, slid off the road, and hit two people who were investigating an accident scene. One man died, and the other was seriously injured. The officers restrained the defendant and had blood drawn at the hospital. The tests revealed a blood alcohol concentration of .09. Implied consent is an important aspect of DUI defense. The Washington implied consent statute, RCW 46.20.308, requires officers to inform a driver suspected of DUI of certain consequences of refusing or submitting to a breath test. When recreational marijuana use was decriminalized in Washington, the legislature set a legal limit for THC levels in the blood while driving. It also added a warning to the implied consent statute, stating the consequences of a breath test that indicated the driver’s THC concentration was above the legal limit. The available breath tests, however, could not measure THC. Although the statute has since been amended again, there were cases that arose under the language requiring the THC warning. This blog previously discussed the case of State v. Murray, wherein the Court of Appeals found that the defendant’s breath test results were not admissible because the officer did not provide the THC warning. The Supreme Court of Washington recently reviewed that case, consolidated with another. The trooper involved in each case used an identical form in providing the implied consent warning. The warning did not include statutory language regarding THC, but it advised the defendant that he or she was subject to a driver’s license suspension, revocation, or denial if the test indicated he or she was under the influence of alcohol. The form stated the defendant had the right to refuse the test, but if he or she did so, his or her driver’s license, permit, or privilege to drive would be revoked or denied for at least a year, and that refusal could be used in a criminal trial. It further stated that the driver’s license, permit, or privilege to drive could be suspended, revoked, or denied for at least 90 days if the defendant was at least 21 years old, the test indicated a blood alcohol level of .08 or more, and the defendant was in violation of RCW 46.61.502, Driving Under the Influence, or RCW 46.1.504, Physical Control of a Vehicle under the Influence.